Today was a day I’ve been looking forward to for the past 500 miles. 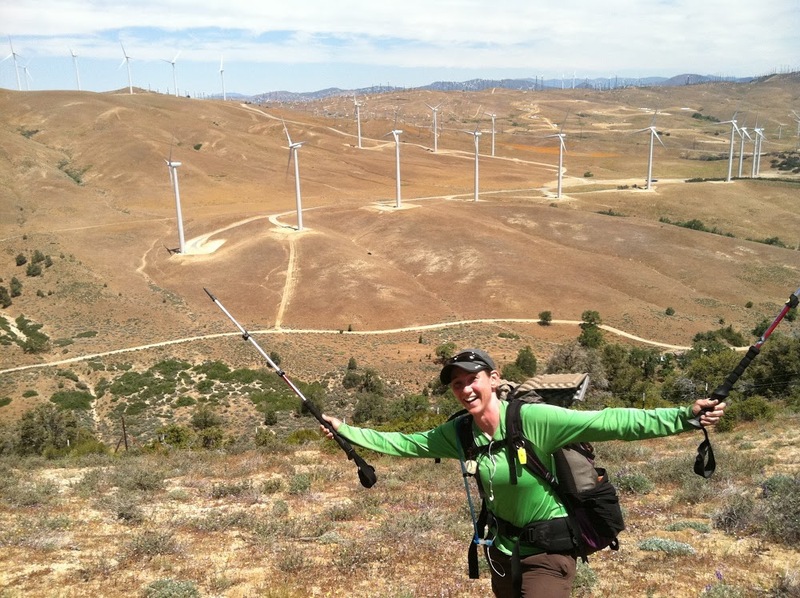 I’ve been excited about walking through the wind farms since I first saw pictures of it when I was researching the PCT. Today was a great day for hiking and again, we totally lucked out with the weather. It was in the low 70’s and it was breezy. Going through the wind farm, it is usually very hot and the winds can be so strong that it’s difficult to stay standing. The day started with a nice climb out of the hills we were in last night. All of us at the campsite got up and moving early because we knew today’s destination was Tehachapi. Top Shelf went on ahead because he was going to be staying with family while Wandering Dot, Blister, and I headed to Rockin’s house. 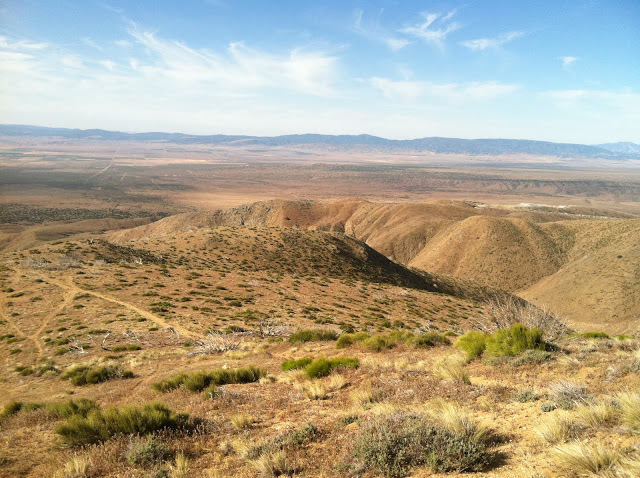 We got a great view of the Mojave and could see the hills we were in two nights ago. It’s crazy to think that in three days, we were in a blustery snow/sleet mix, went through the Mojave desert, and went through a wind farm. Pretty cool. 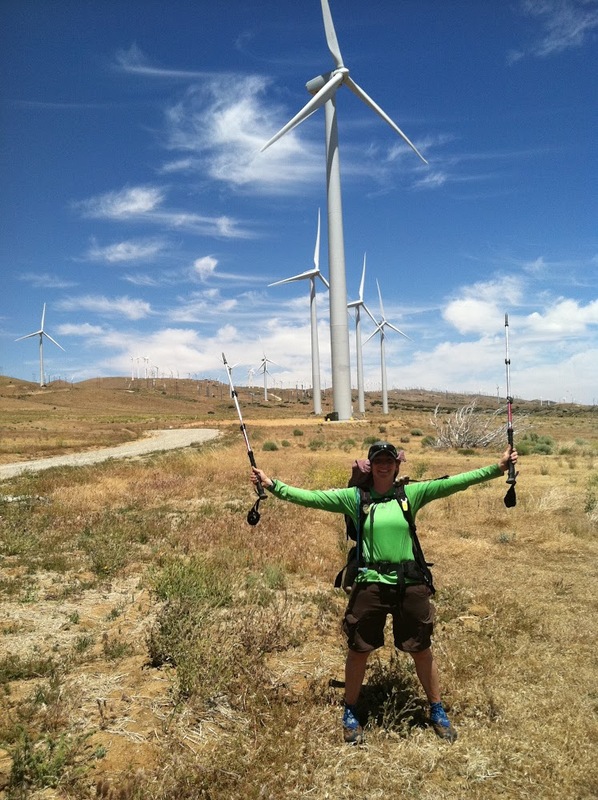 I loved going through the wind farm and it kept me distracted all day. I also have a video that I will post tomorrow on my summary of this most recent section. We were so excited to get to Rockin’s house that we finished the 25mi by 4pm. Rockin’s husband Dan was there to pick us up right when we got off the trail. Perfect timing! On the way to the house, we got to go by Sonic for milkshakes. Rockin’ and Dan made a great spaghetti (my favorite!) dinner for us. We are so happy to be here and are looking forward to at least one zero tomorrow and maybe even the next day. 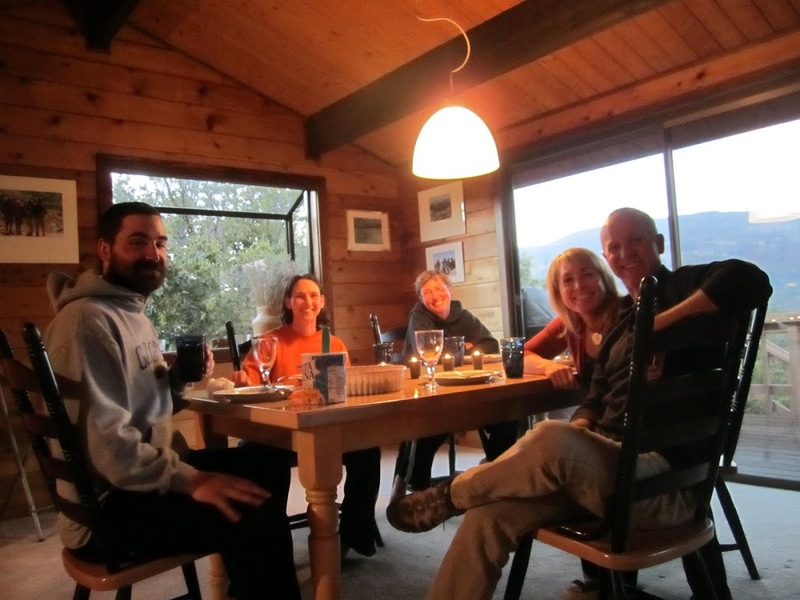 We are going to do some major relaxing and then plan for the Sierras which are right around the corner!